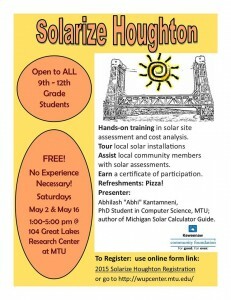 Hands-on training, tour of local solar installations, assistance of local community members. Eat Pizza! Earn a certificate of participation. 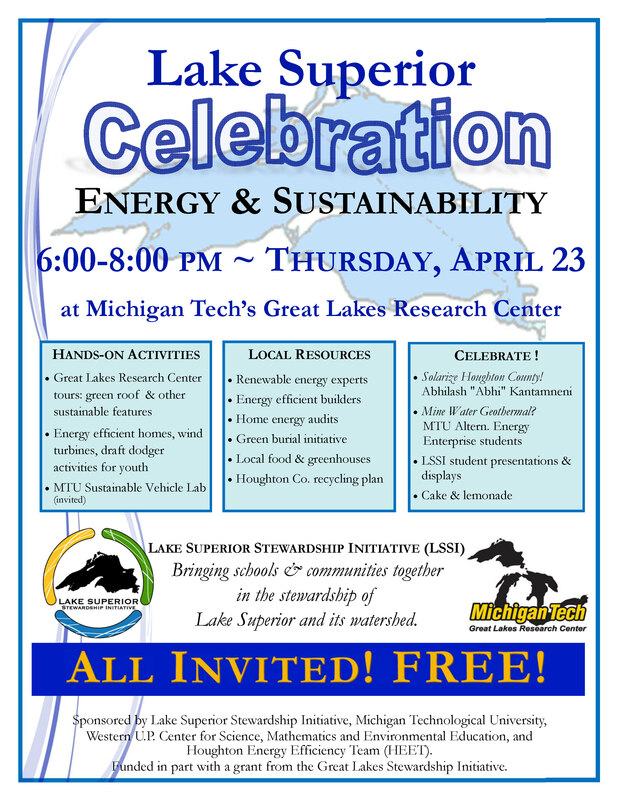 Coordinated by the Western UP Center for Science, Mathematics and Environmental Education and the Keweenaw Community Foundation. Families got to learn about animals on a nature hike on Saturday. An environmental educator from the Michigan Tech Center for Science and Math Outreach lead the hike. The group walked along the Maasto Hiihto Ski Trail. Read more at Upper Michigan’s Source, by Phil Ford. The Outdoor Community Nature Program, coordinated by the Western Upper Peninsula Center for Science, Mathematics and Environmental Education, runs through May 16, 2015. 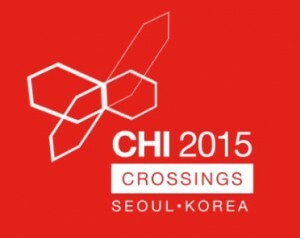 Assistant Professor Myounghoon “Philart” Jeon (CLS/CS) presented a research paper, “Embarrassment as a divergent thinking process for creative arts in the immersive virtual environment,” at the Workshop on Embarrassing Interactions of ACM SIGCHI Conference on Human Factors in Computing Systems (CHI’15) in Seoul, Korea. 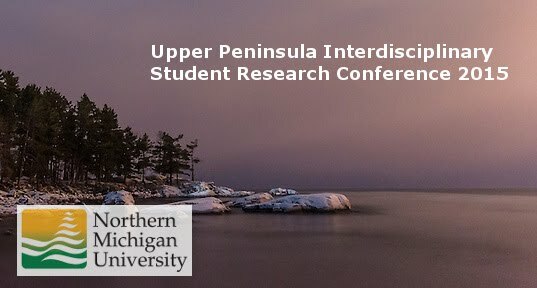 About 25 students from Michigan Tech attended the 2nd annual Upper Peninsula Interdisciplinary Student Research Conference (UPISR) on April 21, 2015. 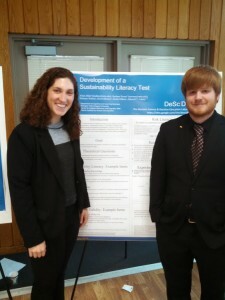 This year’s event, which took place at Northern Michigan University (NMU) at Marquette, was sponsored by the College of Arts and Sciences at NMU and the Department of Psychology at NMU. The 2015 conference was a continuation to collaborative efforts between Michigan Tech and NMU, focused on student research in human and behavioral sciences. It also witnessed the diversity of areas that include psychology, human factors, education, human effectiveness, human-centered design, social science, kinesiology, neuroscience, and other related fields. Undergraduate and graduate students from both universities gave oral and poster presentations. 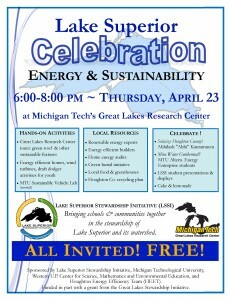 Displays, local resources and experts will address a variety of topical issues include renewable energy, home energy audits, green burial initiative, local food and greenhouse, Houghton County recycling, HEET (Houghton Energy Efficient Team) Dollar Bay-TC Student Organization of Aquatic Robotics (SOAR), Mine Water Geothermal, “Solarizing” Houghton County and more. 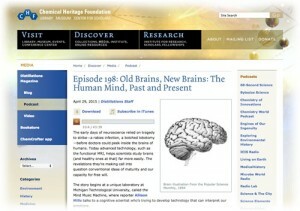 Read more at Tech Today, by LSSI. 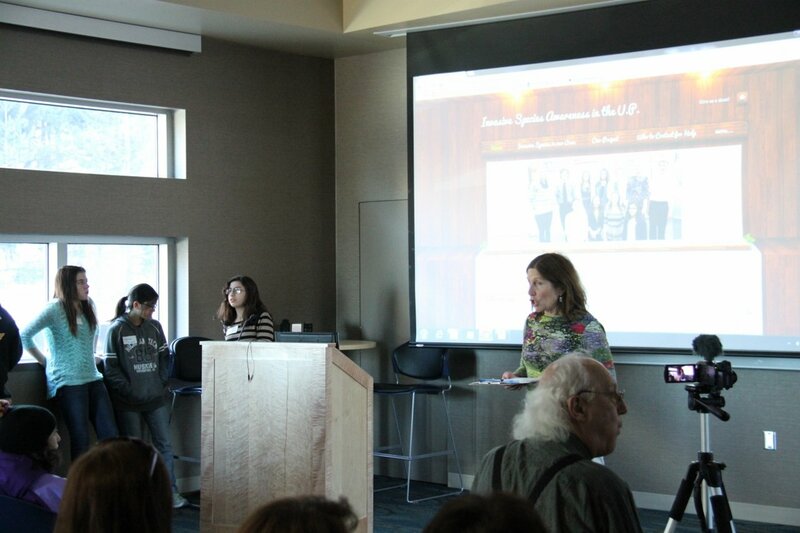 Read more at GLRC News and Announcements, by Emil Groth. 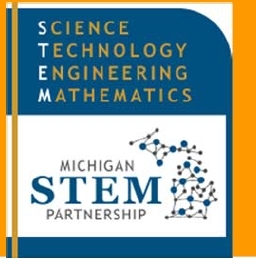 Learn more at Teacher Professional Development – Current Institutes or the Western Upper Peninsula Center for Science, Mathematics and Environmental Education. FREE 6-hour Field Trips offered for Gr. 9-12 classes April 20-May 15!! 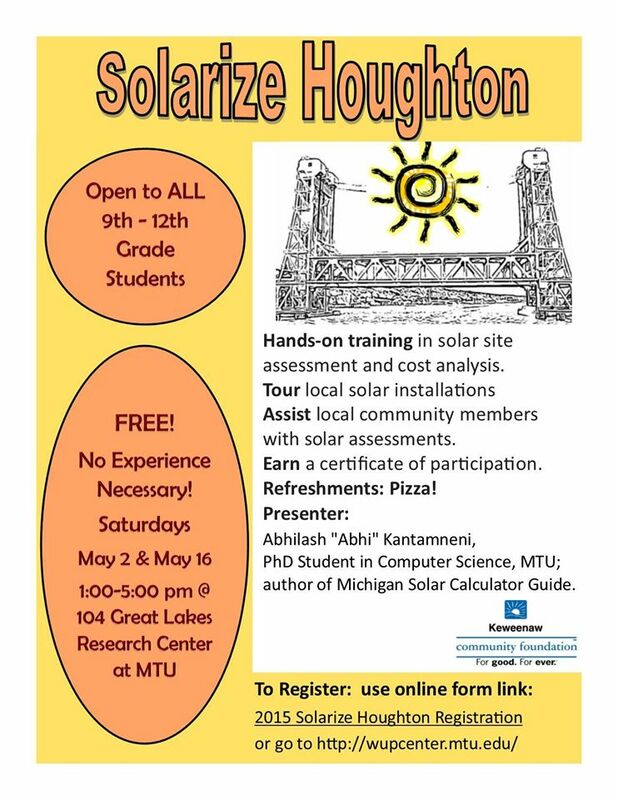 Visit a variety of science, engineering, and computer labs at Michigan Tech and participate in presentations and hands-on activities led by MTU students, engineers, and scientists to kick start students’ planning for careers in STEM. Tours are approximately from 9 am to 2:30 pm. Register Early! Bus travel stipends, sub teacher reimbursements, free student lunches (up to 25/group) available to first 10 to register!